The popularity of ABC’s Shark Tank has made it hip for many to identify themselves as entrepreneurs, even though it’s more likely most haven’t made it out of the what-if stage. The extraordinary stories attached to trailblazers and risk-takers like Elon Musk, Steve Jobs and Mark Zuckerberg compound the belief by some that theirs is The Next Big Idea, if only someone would give them hundreds of thousands of dollars to give it a try. “There are tons of people who think they have this great concept to make a lot of money, but they haven’t taken a single step in a million-step journey,” says Corey Cormier, whose determination is paying off big with his third startup — Legal Monkeys — based in Downtown Bryan. The sobering and well-documented truth is that for every 10 people who try a startup business, only one succeeds. And, on average, that’s only after a few years without making a profit, consistently working unreasonably long hours, obsessing about the smallest details and, oh yeah, not just growing, but growing fast. 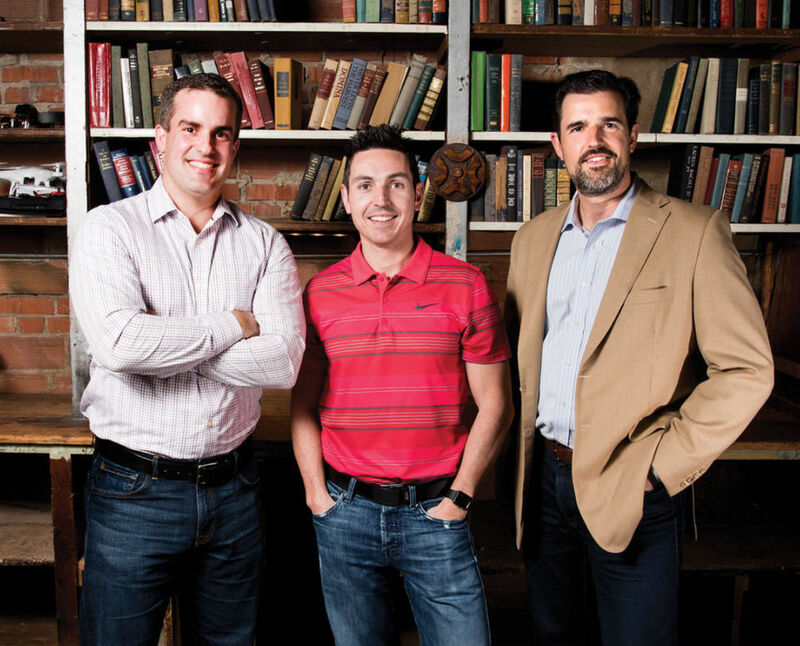 To discover what’s needed — besides working fast, hard and smart — for a startup to become profitable, Brazos 360 interviewed three proven entrepreneurs in the Brazos Valley — Cormier, James Benham and Jeff McDougall. Turns out, they have a few commonalities other than just an extreme passion for creating commerce from imagination: All are Aggies and are addicted to innovating. Each taught themselves how to code at a young age. Analytical problem-solving comes naturally to them and none takes anything for granted. Questions each has asked before embarking on a new venture include: Do people want what I’m selling? Is it viable? Unique? What’s my plan to make it profitable? Ideas are a dime a dozen, the trio agree, but what matters most is the execution. McDougall, who has been a part of six startups, said he learned the hard way that he should have spent more money on marketing. Cormier suggests hiring a business coach to help navigate the system. Benham recommends seeking out like-minded colleagues to bounce ideas off of early on. includes mentoring for Aggieland Startup at Texas A&M and Bryan-based Seed Sumo, which gives money to startups with potentially lucrative ideas in exchange for a small stake in the company. It’s important to share success stories, Benham said, adding that there’s no single proven formula for mastering a business. “We have to keep evolving,” said Benham, a College Station city councilman who has created a handful of startups. All three advised to keep pressure on yourself, regardless of the roadblocks. “It’s even more important to work like someone is chasing you — because they are,” McDougall said. Technology executive Jeff McDougall completed 1,600 hours of consulting work for Verizon Wireless over a 10-month period before seeing a dime. Once a contract was signed and the IOU cashed in, the former Texas A&M electrical and computer engineering professor knew exactly where to spend it. He and his first business partner, Jeff Durrant — the pair started “Jeff & Jeff Lawn Mowing” when they were 14 years old — used the funding to create and launch PivotPoint. The telecommunications software provided the tools to commercial wireless carriers so they could evaluate the accuracy of locations on devices — the FCC has requirements associated with emergency calls, so PivotPoint developed a method to do it with greater precision. “All startups lose money, usually lots of money, and that’s why you need a network of support to get a startup to the stage where it can produce, market, distribute and support a product that people want and/or need,” McDougall said. PivotPoint turned out to be both. The private startup soon became the leader in the industry, and within six years — in 2011 — that untouchable reputation allowed them to sell the business for an undisclosed amount to Colorado-based Intrado, which is a leading provider of 911 emergency communication services and technology. McDougall remains in a support role and transitioned PivotPoint into an investment company. In all, he’s either owned or been partial owner for six startups, including a successful medical coding software company and an app called WinePoynt (now defunct) that gave users wine recommendations by learning preferences through a rating system. So when he describes himself as a serial entrepreneur, he’s serious. The Texas A&M Engineering Experiment Station in College Station brought him in last summer as its Entrepreneur-in Residence to teach researchers how to commercialize cutting-edge technical advances. But most work days, the father of five is investing his time in a venture he kicked off last year with partners Scott Morton and Glenn Knepp: Gazoo High Performance Computing. “Disrupting the way humans use computers,” is the tagline for the startup based in Bryan. Last year, the team was granted an unprecedented $500,000 from Seed Sumo to develop a platform for delivering cloud computing to a variety of devices. The hardware they’re creating is billed as the future of virtualization. To test assumptions, McDougall said he uses clients to review approaches once he has worked through them. “Customers might not know what they need, but they are more than willing to tell you what they want,” he said. Corey Cormier describes his wildly successful startup as an accidental business. Just over six years ago, he was chatting with his bosses at Daniel Stark law firm where he worked as an IT guru when a partner mentioned a problem: It took them 120 days to collect medical records from doctors and hospitals, delaying their cases. “I ended up locking myself in an office the size of a closet for a week and came out with a solution,” he said. That fix came in the form of automating the records collection process, allowing the lawyers to spend less time dealing with providers. The average wait dropped to 32 days, putting Cormier in high demand within the industry. While discussing the software at a legal conference, an attorney asked where he could sign up for Cormier’s product. “We were thinking we could sell the software to law firms, so we poured many hours and dreams into that, but it didn’t happen that way. That approach failed miserably,” said the 39-year-old. It didn’t take Cormier long to hire a few employees and figure out they had a delivery issue. Their customers needed them — their specialized service — from start to finish. Six years and 80 employees later, Legal Monkeys — a name suggested by one of the law partners who said Cormier’s efforts were “so easy a monkey could do it” — now has the document wait-time down to 18 days. The private company targets mid-sized to large plaintiff firms and receives almost 20,000 medical requests a month. “Legal Monkeys is here to stay,” he said, adding that within the year his crew will move from the second floor of the law firm on Main Street and into their own building with an industrial flair a few blocks away. The energizing vibe in the jam-packed office is obvious not just on the smiling faces throughout, but it’s on display in their motivating morning talk that aptly includes the “high-five huddle;” with an open snack pantry (Fridays are Waffle Day); compelling hand-written notes on walls; and by the ease in which employees communicate. James Benham was far more eager to write computer software programs than he was interested in playing video games in the early 1990s. “I started writing code almost immediately,” he said of the moment his dad placed an old computer in his hands. Benham was 11. At once, it became his passion and hobby, then later — his calling. Before Benham was old enough to vote in a political election, he had established two tech companies, including a computer consulting firm and a nonprofit that he co-managed with a friend that provided free Internet to the teachers in their district. During his senior year in the Texas A&M Corps of Cadets, he created a software development company — JBKnowledge — out of his dorm room. His first assignment was to build a website and member database for the Corps’ alumni group. 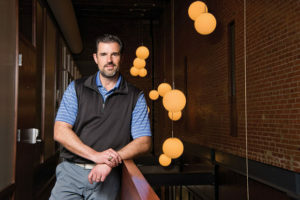 “[They] gave me a chance just because of the Aggie Network,” the 2001 graduate said, adding that while networking is vital, selling a good product that fits a client’s needs is as essential as finding the right co-workers. “Who you hire matters,” he said. Aligning with like-minded employees and companies with similar revenue interests is an integral part of success. He asked his father to be his business partner, along with high school classmate Sebastian Costa, saying those were the most important decisions he’s made. Together, the three founded JBKnowledge, which has 165 employees and makes several cloud solution sites sold to 750 customers across the globe in the construction and insurance industries. Last year, the father of two opened BinarySpace on the first floor of his office building — the old Parker-Astin Hardware Store in Downtown Bryan — to allow individuals and startups to office, hold meetings, brainstorm, host events and use some of the technology tools Benham is known to invest in, like the Flashforge Dreamer (aka the latest 3D printer) and the DJI Phantom 4 drone with collision avoidance. 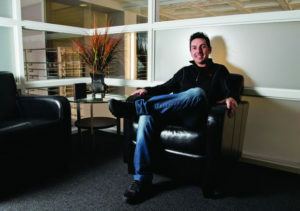 His company’s success is evidenced by its compounded annual growth rate: 40 percent a year for the last 15 years. 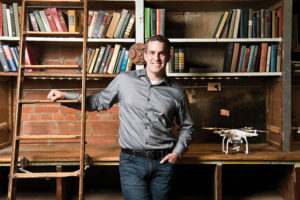 Up next: Benham said JBKnowledge just finished research and development on projects relating to augmented and virtual reality, as well as devices that connect to the Internet and track data. Blake Petty — co-founder and director of Startup Aggieland, a business incubator open to accepted students from all majors on the College Station campus — finds himself juggling a legion of assignments, much like an entrepreneur. These related but different positions tie together, allowing Petty to oversee all the applied research, innovation and economic development initiatives for the university, while coordinating similar efforts with the A&M System. The 20 years he’s poured into these endeavors more than qualifies Petty to be Brazos 360’s expert on advising people who think their idea is the Next Big Thing. Petty — who earned his bachelor’s and master’s degrees from A&M — said he knows there’s never a one-size-fits-all solution to creating a business because there are so many moving parts, so rather than give a “to-do list” for keys to success, he prefers to recommend what adventurous business pioneers should not do. • Don’t get fooled by your own genius. Most startups fail because their founders assume that others will love their idea as much as they do. Validate that you actually have customers before you launch a business. • Don’t get distracted by all your applications. Entrepreneurs are, by nature, impulsive toward new opportunities and can find themselves aiming to solve a number of problems without actually ever solving any. Focus on your business’ top job and get it done first. • Don’t believe everything you see on TV. Entrepreneurship is hotter now than it’s ever been, which will lead some to think it’s just as easy as reality shows make it seem. Starting and growing your own business usually takes 10 times the effort of working in someone else’s. • Don’t try to do everything yourself. Look outside your immediate network and find cofounders, teammates, advisers and mentors anxious to help out. Good chance they know more than you do, and are more than willing to push you toward success.